A Tablet is defined as devices with or without cellular connectivity and with a 5” or larger screen. The tablet market is polarized between Apple’s iPad with its 9.7” screen and Dell’s streak, a mini tablet that features a 5” display. Huawei’s S7 Android Tablet is the first amongst many others that sit between the two, at 7” screen. It is aimed at those looking for mobility and a screen size that offers a superior experience to that of a mobile phone. •	The OEMs apart from Apple would engage into fierce price competition to establish the Apple apeing “me too” category of tablets. •	Operators in the US and Europe will look to subsidise some devices to test consumer demand and maintain growth in data plans. •	Carriers in the US perceive the tablet as a far bigger opportunity than that of netbooks and are planning subsidies allocation and data plans. •	The sale of tablets would begin to hit notebooks rather than smartphones. The Tablets will complement the Smartphone as a companion device. •	Subsidy will be a major factor in the next phase of the tablet category’s growth. While price cuts and subsidy would be an integral to OEMs to compete with Apple, Apple seems to have taken the pole position and the head start in this Tablet Market. iPad currently had little incentive to encourage iPad subsidy because of a continued robust demand and a leaner supply. Apple is using its head start very fruitfully to gain a clear understanding in consumers’ mind that the iPad is a premium device, unlike other high tier devices which are typically sold at a nominal or zero cost through subsidized mobile channels. Timing is a critical for Apple iPad and the 4Q, 2010 could be the time when the iPad appears in subsidized channels ahead of the Christmass holiday season. By this time, Apple is likely to have overcome its initial demand spike and will want to broaden adoption and ensure too big a gap doesnot open up between the iPad and rival products. The iPad pricing could prove to be constraint to market opportunity and entry for other players. 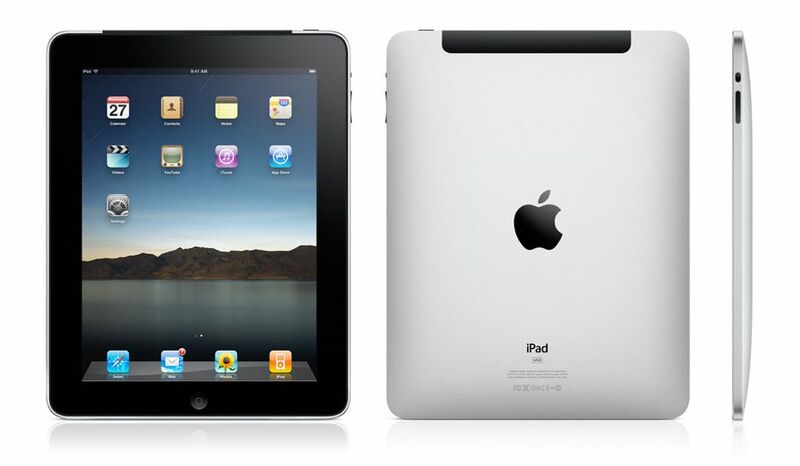 Apple launched the iPad on 3rd April and sold out 3 million units in its first 80 days. Apple now has 11000 iPad specific applications. Huawei has announced Smakit S7 tablet, featuring Android 2.1, a 7” 800 * 480 pixel display, Qualcomm Snapdragon 768 MHz microprocessor, 3G HSDPA, 256 MB RAM, Wi-Fi, Micro SD slot and 2MP Camera. 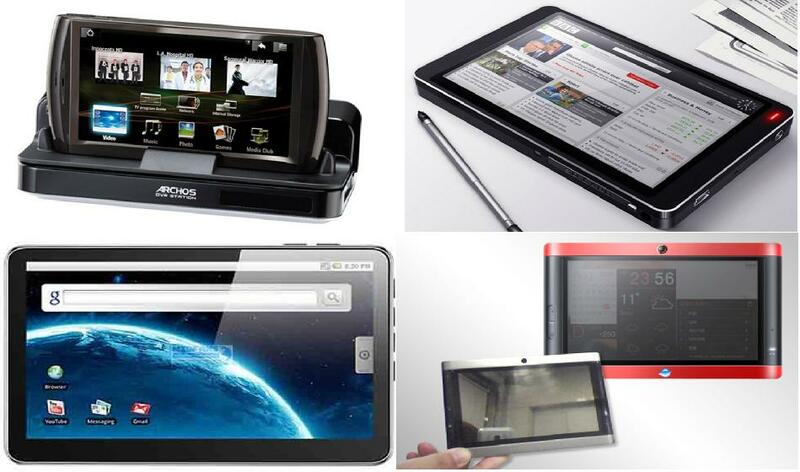 The second half of 2010 will see a profusion of tablets from a wide range of developers. 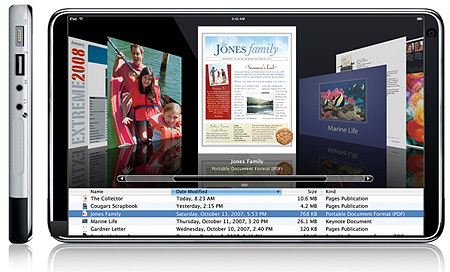 While Tablets have been on the horizon for a while now, it is 2010 when Apple iPad captured the imagination of consumers. The Tablets are positioned to be occupying the “no man’s land” between smartphones and notebooks and has become synonymous with niche products aimed at technology enthusiasts and niche markets such as healthcare. The onset of tablets had suffered a blow in 2007 with the advent of the iPhone. Ironically, it was Apple with its iPad which provided Tablets the impetus to mainstream. The iPad sales have humbled even the most optimistic forecasts on the iPad. The iPad’s success emphasize the power of Apple’s integrated device, content and service offering across multiple products multiple products and its exceptionally strong brand. The tablet market beyond Apple is likely to remain niche in 2010 despite the traffic in the second half of the year. Manufacturers striving to sell “me too” software offering standard features such as a browser, photo viewer, music and video are merely offering the bare minimum expected by users. They will struggle to convince potential buyers that they need a device that sits between a smartphone and a PC. Moderate success may come from offering a “poor man’s iPad” for consumers aspiring to but unable to afford Apple’s flagship device, but the user experience will be weak and the rewards for any OEM pursuing will be meagre. H2,2010 would see more than 20 tablets, most of them Android powered. 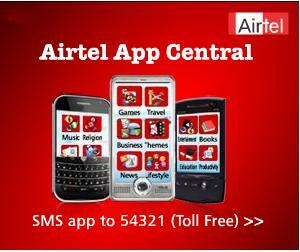 Airtel Apps Central recently completed its first 4 months. It has flashed a very impressive set of numbers to emphasize the success of the Apps store format in India. Indeed, there are very interesting set of numbers and facts in 4 month results. 1. The number of apps offered tops 71K, a huge improvement over the 1250 apps it started off with initially. 2. The apps compatibility stands at 780 devices. It started with 550 devices, 4 months back. 3. 75% of the Apps featured are paid, the rest 25% are free. 4. The unique mode of payment, where the post of a paid application gets deducted from the Post paid bill or the Pre paid balance has made acquisition of these apps easier for the consumer. 6. More than 32% of the apps downloaded are paid. 7. Tier 2 cities in India made the bigger contributions in terms of downloads (in line with the internet consumption habits of India). The top 5 cities being Surat, Udaipur, Pune, Mangalore and Thiruvananthapuram. 8. The top 5 category of downloads are Social Networking, lifestyle, Books, Entertainment and Games. Airtel is now working on a downloadable version of App Central so that one won’t need to access it through a web browser but through an icon on the menu. App Central is also aiming to offer local and regional apps for customers across the country. 2. Delivery medium: English is the de-facto medium of delivery. This would have to change to Vernacular languages. English by itself has a 10% cut off in population reach. Theres a 90% market that the vernacular languages cover and this is a big opportunity yet again. The Apps central model will possibly be perfected in India after which Airtel would want to take it to Africa which is the next biggest blossoming telecom market. The parallels and the modus operandi is just so obvious. 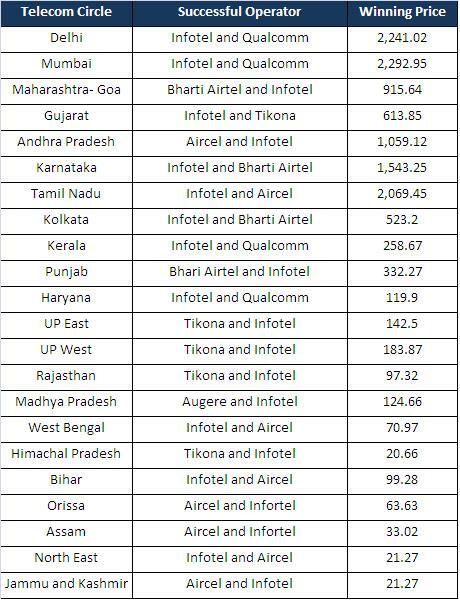 For a change then, Airtel is making inroads with data traffic in India.Intereting space given that Vodafone and Reliance are already in and Aircel may jump in any given moment now. Even as Apple releases the iPhone 4G amidst hype and hoopla, the Android army is pitching products like never before and narrowing down the technology lead that Apple had over its competitors. Droid/Milestone was the handset that got the beleaguered mobile phone giant Motorola back in reckoning. Motorola CEO Sanjay Jha’s single point agenda to drive Android powered smartphones is beginning to show results for Motorola. The Motorola Droid/Milestone provided worthy competition to the Apple iPhone 3GS. Now with Apple ready to launch the latest installment of its blockbuster iPhone on June 24th, the Verizon-Google-Motorola announcement which is happening on 23rd June could only mean a preemptive attempt to steal iPhone’s launch thunder by urging consumers to hold on their dollars and wait till the Moto Droid/s hits the stores. The surprise here is that there are 2 Droids in succession: The Droid 2 and the Droid X, of which Droid 2 would be unveiled on June 23rd and Droid X on 19th July. The second part of this story is the Android Army and its relentless attempts to take the spotlight away from iPhone. The iPhone 4G faces stiff competition from HTC EVO and now Google is bolstering the fight with the latest Moto Droid/s, one of which also is a 4G ready device. Samsung also joins the party with its latest Android Galaxy S. HTC has also announced the Android 2.1 Aria sometime back. The third part of the story is the Verizon versus Sprint versus AT&T 4G devices fight. Verizon rests on the Droids and Sprint takes to the battle with the Galaxy S and HTC EVO. While Adobe and Apple have been in a very public battle in the media over Apple’s refusal to support Flash on the iPad or iPhone the Droids will are running Android 2.2 also have Flash 10.1 support. Android and its partners are projecting the Flash 10.1 as something very vital that the iPhone armory does not support and thus the superiority of Android as a platform. The Android 4G with its 600000 sell outs in the first 3 days and reports of component shortages over ordered quantities has established itself as a worthy successor to the previous iPhones. However, with every new Android release, the gap between iPhone and the Androids is reducing very significantly. Technically, the Androids have started over shadowing the iPhone already. From the looks of it, iPhone will hold on to its “elitist” position but Android and its hoardes look like to take over volumes significantly. “Kinect combines a few detection mechanisms to build up a rather accurate and comprehensive amount of 3D data on what’s going on inside a room. There’s a color camera for taking pictures, recognizing faces, and so forth, but the real magic happens with the monochrome CMOS camera sensor that’s paired up with an IR blaster. Microsoft calls this its “depth sensor,” and the light and shadow of that image (lit by the human eye-invisible IR spectrum) is analyzed to build a 3D map of the objects within Kinect’s field of view. Finally, there’s a multi-array microphone setup to detect location of voices and to cancel out ambient noise, allowing for video chats without a headset. All of this sits atop a motorized tilting base of sorts, which when used in conjunction with skeletal and facial tracking, Kinect can pan and tilt to keep its sensors trained on you as you move around the room. One down side of the motorized base, however, along with the rest of the fairly complicated electronics, is that the Kinect hardware isn’t tiny: it’s about a hand’s width tall, about as deep, and around a foot wide. When you think about it, the entire Wii occupies less cubic real estate. It shouldn’t have much trouble squeezing in up in front of your LCD TV, but good luck trying to balance it on top, and we have no idea how folks who hang their TVs on the wall should approach this situation. 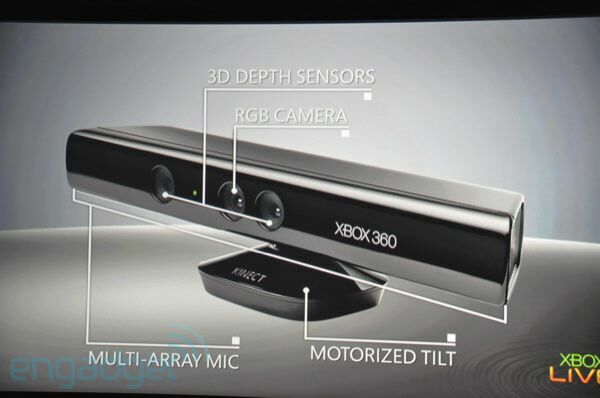 One thing that Microsoft has actually left out of Kinect is a dedicated processor. 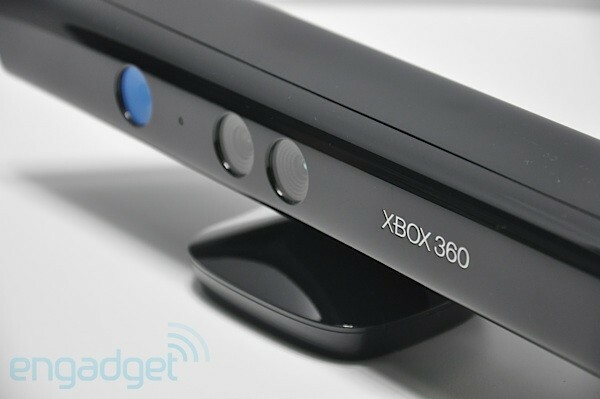 The original plan was purportedly to have the Kinect pull its own load, allowing the Xbox 360’s processors to run free in rendering games. In the interest of cost, however, the processor got cut and now the Xbox is taking a 10-15% processor hit. Reports are conflicting as to whether or not that’s going to impact the sort of games that make it onto the system, but either way it pretty much rules out retrofitting older games for a new Kinect control scheme. Kinect will be bundled along with the Xbox 360 and while the Xbox 360 has a tag of $199, the Kinect bundles will cost $399 for elite and $299 for arcade. Microsoft has wowed the journos and analysts alike with the experience of real games, real gameplay, and real hardware, and a very real desire to get hands on with this new technology. The wait is set and we have a date with the Kinect, this 4th November 2010. Google’s Nexus One wasn’t the biggest of its success stories. Quite on contrary, the Nexus One risked a lot of OEM wrath and Google ran into conflicts of Interest with Android Supporters. It would appear that Google has not learnt well from its negative experience an year back. Google now risks the wrath of OEM businesses yet again with its latest attempt to take greater control of the Android platform. Google has been battling with fragmentation in the Android platform with in various OEMs, who have leveraged the “open” source Android to create differentiation for themselves while sticking to the core platform. The best cases in point are Motorola’s MotoBlur and HTC’s Sense. The fragmentation of the platform is a big stumbling block against a uniformity of user experience and extension of developer APIs seamlessly across all range of devices. 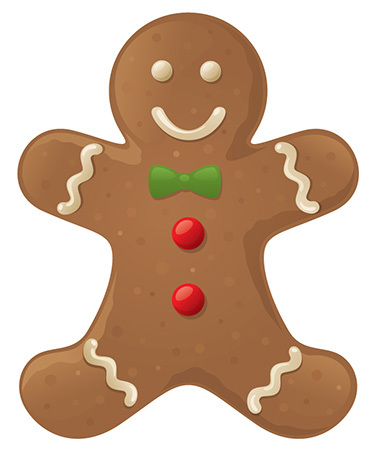 Google is reported to be planning a unified user interface in its forthcoming Android release codenamed Gingerbread. This will be imposed across Android products, ending the fragmentation that dogs the system. However, this also restricts partners’ development of their own user experiences.Google wants to deter its OEM partners from taking this “unification” approach by making the default experience superior in terms of handset performance. Google believes that the proprietary overlays (made by the OEMs) are variable in quality and often slow down the device. It cannot, in the open source world, ban these UIs as Apple can, but it aims to make them “as pointless as possible” by enhancing the vanilla look and feel and ensuring it drives the fastest and most efficient performance for the handset. Some developers fear they will need to choose between being ‘Motoblur programmers’ or ‘Sense programmers’, rather than having their Android apps run entirely unchanged on all the versions. This would create a world more like traditional Symbian – with very different user interface layers such as Nokia Series 60, DoCoMo MOAP, and the now defunct Sony Ericsson/Motorola technology UIQ, all with their own programmer bases. This is principally, closer to the fully unified Apple approach, which faces none of the dilemmas of the open source world, between unity and freedom of choice The iPhone maker has defended its iron control of its famous user interface on several occasions against companies that sought to impose their own overlays, notably China Mobile. Google, always looking to increase its personal power over the mobile experience, is eyeing a similar control- though it may be swimming against the tide, at a time when even Microsoft, also accustomed to dictate terms for Windows, has been forced to accept third party overlays like Sense for Windows Mobile.All this is precipitated by Google’s intent to offer a consistent look, feel and experience on its UI across all its devices which will significantly compete with Apple. Bottomline:The intent may be half correct from a market and competition perspective but is an anti-thesis of the Open source platform idea that created the Android by letting Google co-opt and co-create with OEMs and Developers.Apple levels of UI performance are almost impossible for a platform that is geared to a wide variety of devices and vendors, and Google may, once again, be overestimating its own power, and the need for its key partners to differentiate themselves. Google needs to identify the strengths within the “open source” construct and use that to deliver higher and bigger on the platform rather than affecting changes to the philosophy which will make its open source a pseudo effort. 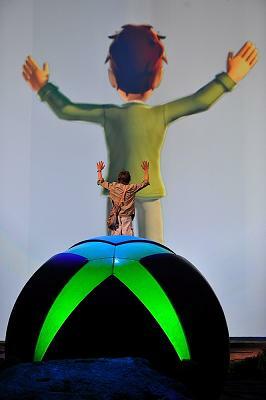 Microsoft Project Natal finally sees the light of the day November 4th 2010 and it has a new name: Kinect. This is a part of the overall Microsoft strategy to use Natural motions as user interfaces. The strange alien shaped machine which will be bundled along with the New Xbox 360 has not been named yet. The device specializes in Motion Gaming (which is what Natal was all about) with a dual/multi player capability, three dimensional approximation, Voice control mechanism, Social networking Apps: Twitter, Facebook, Zune and Netflix and a Video Chat App. Click here for more details of the games, device and user experience. The interface is kept simple: You wave your hand to control a glowing cursor of sorts, and you push forward to “click” on the element you want. Apple struggles to provide LCDs for iPhone 4G’s advance orders. Nokia shares plunge 9% on lower devices and services outlook. The comparison board between Nokia and Apple has been like this for more than an year now. And from the looks, the story doesn’t seem to be getting better for Nokia and the story for Apple will possibly get better. Quite a difference. Refer to earlier posts Fixing Nokia, Slide @ Nokia I, Slide @ Nokia II, Slide @ Nokia III. To provide a summary: “The smartphone revolution has started and Nokia is not there,” said Helena Nordman-Knutson, a Stockholm-based analyst at Oehman. Can’t agree more. The lowered outlook is “an implicit statement that the Symbian user experience won’t be fixed this year and MeeGo won’t arrive in time to make a difference to 2010 either. The outlook cut also firms up the thought that Nokia is itself not sure that its 2nd half portfolio will be strong enough to compete in the smartphone space. While Nokia has held on to the 41% smartphone market share, H2 may see it making losses on this count which it may not be able to make good in some time to come.2010 doesn’t look like to be the year in which Nokia’s problems get fixed and investors are running out of patience and will want to hold someone accountable. The latest movements/re-organisation around the company provides very little succor especially in light of the fact that Nokia has had 3-4 such re-orgs in the last 3 years. Bottomline: With the Apple 4G already a bestseller, with the phone still in a 2 month launch horizon and an impressive array of Android devices, the smart phone show will be dominated by HTCs, Motos and Apples of the world. Nokia hardly has anything exciting at this point to offer (The N97, N900 have disapointed and i am discounting the N8!). Expect Nokia to loose 5-6% market share points over the next 3 quarters. Smart metering solutions for measuring and monitoring electricity consumption is a pro-active and intelligent approach to a understanding of consumption patterns and values, anticipating blips and trenches and powering smart distribution. The objectives and usages may vary from trend analysis, understanding and forecasting in advanced economies such as US, Western Europe and Japan to enabling proper distribution and minimizing distribution losses in developing economies and third world nations such as Afro-Asia. A small example of the Smart metering solution at work Google and Microsoft targeting to make users/consumers aware of their consumptions through their online tools such as Microsoft Hohm and Google Powermeter in US. In India however, smart metering can help monitor and prevent losses to the tune of Rs.25000 per annum in terms of Transmission and Distribution of Power. This constitutes 25% of the total electricity produced in the country and the losses effect to a -1.5% on GDP growth. However, According to a new research report from the analyst firm Berg Insight, the installed base of smart electricity meters in Asia-Pacific is projected to grow at 91% CAGR between 2009 and 2015 to reach 116.5 million at the end of the period. Penetration for smart metering technology is projected to soar from very low levels to 25.0 percent by the end of the period. By the mid-2010s, the majority of all electricity meters shipped in the region is expected to have advanced functionalities and networking capabilities. Berg Insight anticipates that the leading economies in the region will have close to 100 percent penetration by 2020. Asia-Pacific is the fastest growing market for smart metering solutions in the world. 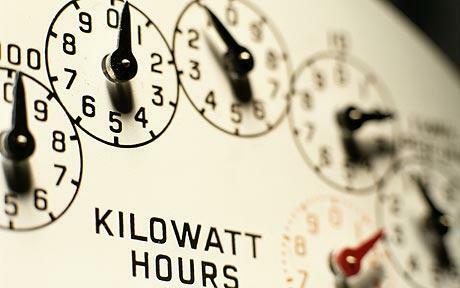 South Korea has begun the construction of a nationwide smart grid where intelligent energy meters constitute the basic building-block. Japan’s two largest power utilities have announced plans for full-scale smart meter deployments in this decade and China is preparing a nationwide rollout within three to five years. Altogether the three countries have an installed base of more than 360 million electricity meters today. The trend in large parts of Afro-Asian Continent is yet to begin and would present a substantial challenge and revenue opportunity to firms aiming to control their networks and aiming for smart distribution. Indian Telecom Story (Part XXXI): Government rings in Rs.1 trillion from 3G and BWA auctions! The spectrum auction for broadband wireless access (BWA) services fetched the Government of India an unprecedented Rs.38.543.61 crores (USD 8.56 billion) after 16 days and 117 rounds of auction. 11 companies were a part of the auction. The pan India licence price stood at Rs. 12,847.77 crore ( USD 2.85 billion), which was 634% (6 times) the base price set by GoI at Rs.1,750 crore. Unlike the 3G event, Infotel Broadband won a pan India license, while Aircel bagged 7 slots, Tikona got 5 slots, Qualcomm and Bharti 4 each and Augere 1. The others failed to pick up any stakes in the BWA circles. The total revenue of the government from sale of spectrum for both 3G and BWA touched over Rs.1.06 lakh crore. Reliance Communication, Tata Communications, Vodafone Essar, Spice,and Idea missed picking up even a single circle. BWA spectrum is essentially for rolling out WiMAX services enabling handheld devices and laptops to access Internet. GoI has been pushing for more widespread access to broadband usage in the country which is at a paltry 9% of the population currently. McKinsey study projected that a country GDP improves by 0.6% for every 10% increase in penetration levels of Broadband. 1. The high prices (above expectations) paid in both auctions, which were too rich for several major cellular operators who dropped out of the second BWA auction, ease the strain on the country’s public sector deficit for this fiscal year. 2. At the same time they exacerbate the financial difficulties of the two state-owned operators BSNL and MTNL which although automatically awarded both 3G and BWA spectrum are obliged to pay the same amounts for their spectrum as the winning bidders. 3. Furthermore, the outcomes of these auctions introduce additional players into India’s mobile market, whose supply structure, absent consolidation, is already unsustainable with an uneconomically large number of competitors. 4. The real impact and value of allocating this new spectrum for mobile broadband will depend upon sensible consolidation between operators – which will require a change in M&A regulations – and the establishment of roaming arrangements between operators. 5. The combination of very high spectrum prices (e.g. $1.34 per MHz/pop for 20 MHz of BWA spectrum at 2.3GHz in Delhi) will intensify the pressure that winning bidders will exert on the prices offered by equipment vendors for network rollouts to minimize capex, while the need for intercircle roaming agreements will favor technologies that are widely supported. 6. Qualcomm which won BWA spectrum in 4 circles – including Delhi and Mumbai – will be looking for roaming agreements with operators in other circles that deploy either WCDMA 3G (Qualcomm is the pioneering supplier of 3G/LTE chipsets) and/or TD-LTE networks. 7. Infotel Broadband is being acquired by Reliance Industries Ltd. This thus enables Mukesh Ambani who was barred under a family non-compete agreement from entering the telecom sector to re-enter and establish himself in the telecom sector. 8. Qualcomm which won BWA spectrum in 4 circles – including Delhi and Mumbai – will be looking for roaming agreements with operators in other circles that deploy either WCDMA 3G (Qualcomm is the pioneering supplier of 3G/LTE chipsets) and/or TD-LTE networks. 9. Infotel’s (Reliance) choice of technology will be critical in terms of introduction of TD-LTE. It will be influenced by Infotel’s ability to offer roaming as long as its network does not have nationwide coverage, as well as by the pricing of alternative technologies, and even the availability of international roaming arrangements (since target customers for mobile broadband customers will include the most internationally active of Indian customers).